About modern day Kiev and Ukraine. 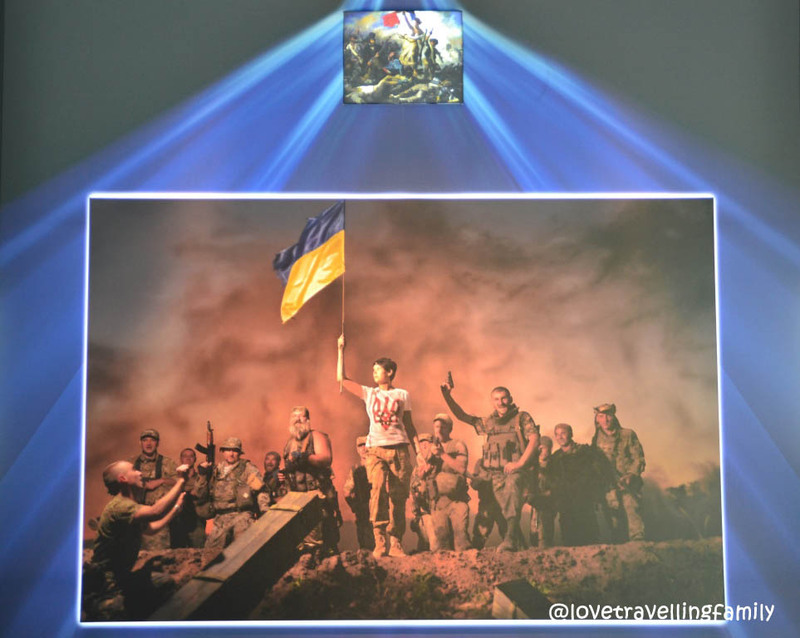 Why to go to Kiev and how to deal with the past and Euromaidan Revolution. I‘ve been in Kiev many times. Enough times to realize that I love this city and that I definitely want to take my family there. Therefore, when we were booking our tickets to Georgia, I already knew that we have to make a stop in Kiev. I saw Kiev when I was a child; I saw it when I was a student. I remembered it very vividly and always with nostalgia. The last time I saw Kiev before our trip was in TV during the revolution on Maidan, the so called the Euromaidan Revolution or Revolution of Dignity. I remember burning tires, lots of smoke, and lots of debris. The news from Kiev and Ukraine were coming first every day and then it got quiet, although the military conflict in the Eastern Ukraine is still going on and Crimea is apparently taking part in the Russian presidential election. At some point Ukraine was not present in the Western news any more, just like that. So that was it, what I remembered before we booked tickets. 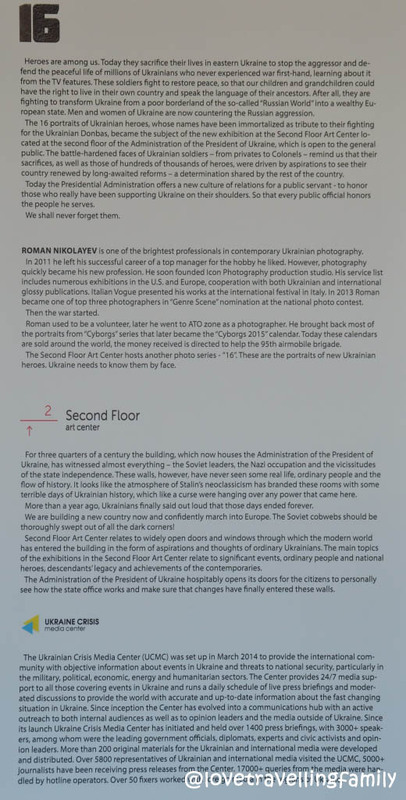 But curiosity about how it is now in Kiev was stronger than my concerns. 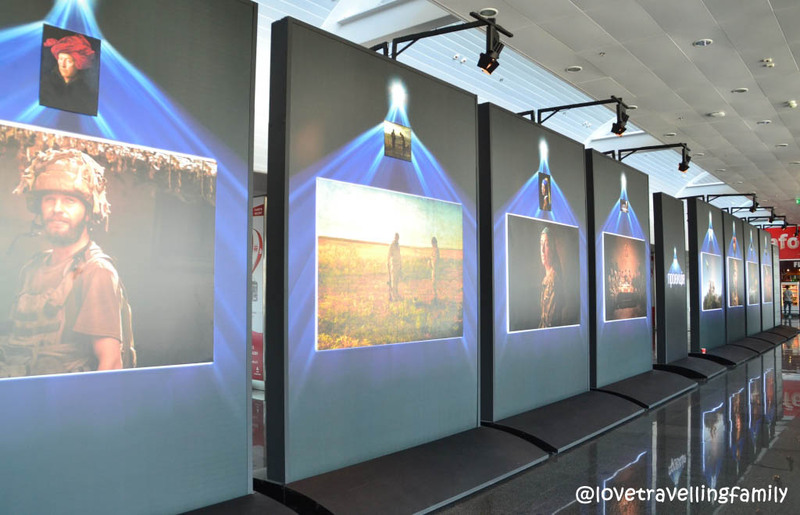 And that’s how we landed in Ukraine. Few days before our trip, I read about the ranking of the world’s most liveable cities done by the Economist Intelligence Unit. 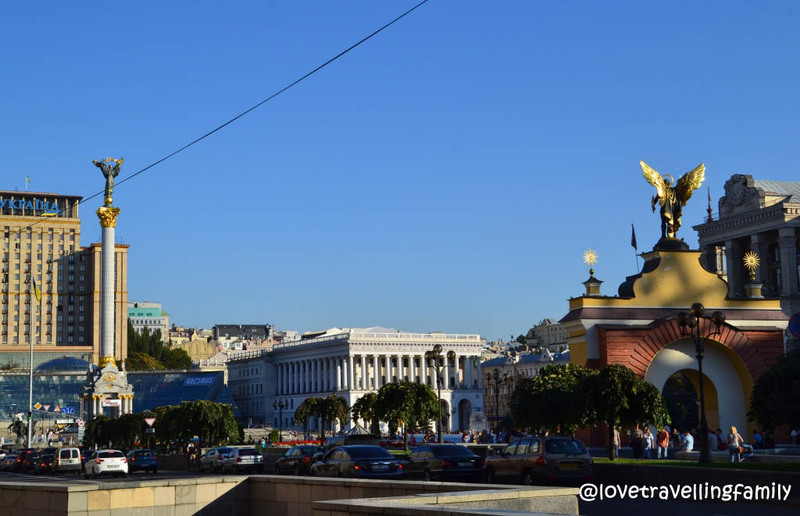 Kiev was reported as one of the worst cities. And although I hadn’t been to Kiev for a while, it was difficult to believe in. Still. Did I have concerns? Did I wonder if this is the right place to take a 2-years old there? Yes, but I believed more in Kiev than in some studies. Today I know that this Economist Intelligence Unit has nothing to do with intelligence and it has done their research probably without even visiting Kiev. Kiev is marvelous and stunning; like New York of the eastern hemisphere. I was not born in Ukraine and my family doesn’t directly come from there. However, my childhood was filled with traditional Ukrainian songs, Ukrainian Christmas carols, and the sounds of the dialect my grandparents were speaking. The dialect was not pure Ukrainian, but whenever I started to speak to any Ukrainian in this dialect, they immediately treated me as one of their own. So after so many years, when I finally saw Kiev from the plane, I realized how much I had really missed it. It felt like coming back home, it felt like bringing my husband and our baby girl home. Kiev was the city from my childhood, now it will belong to the childhood of our daughter. 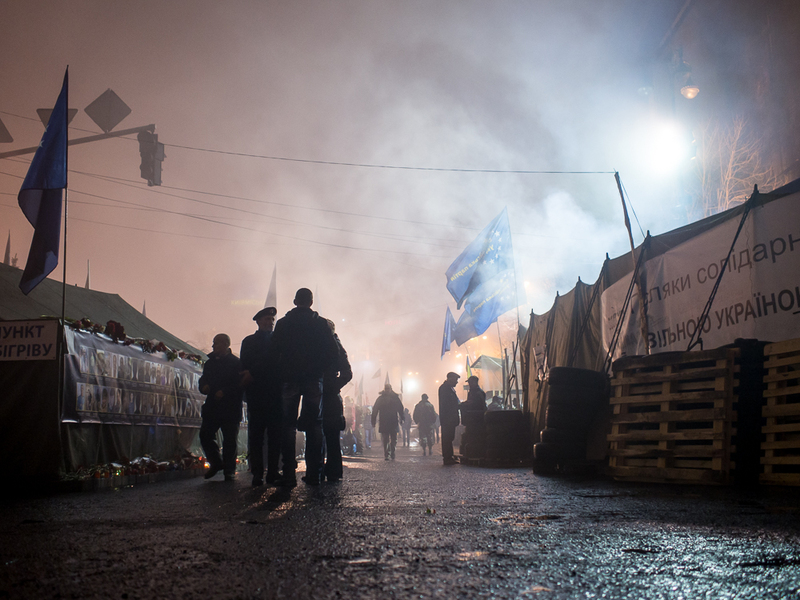 The first time Dario saw Maidan, he could not believe that this is actually Maidan. Then he found it hard to believe that there was a revolution here. A quiet demonstration, maybe; but a revolution? To be honest, I was stunned as well. Today Maidan is a beating heart of Kiev: beautiful and full of life during day, and full with teenagers and couples in love during the evening. 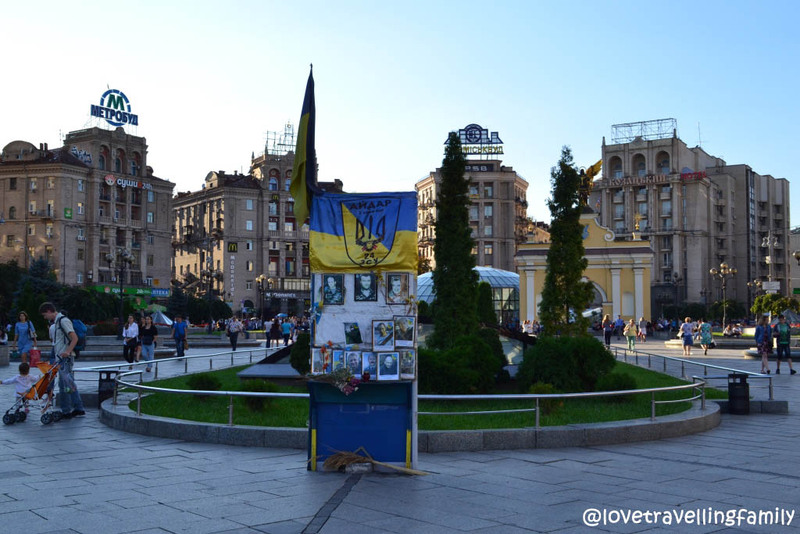 We looked at this square and could not believe that not so long ago it was one of the most dangerous places in Kiev and whole Ukraine. The only thing that reminds you about the revolution is a small memorial with the pictures of those who died during the revolution. The last time I was in Ukraine, I was travelling through the whole country. Apart from meaning KGB spies, travelling in a train with pigs, and being held captive by drunk police officers in Odessa for stealing glasses (I promise one day I’ll come back to it and put it on the blog 😀 ), the thing that stayed in my memory was that you have to be careful where you speak what language. I remember asking a woman in a bus in Lviv about directions in Russian. She was so offended by me speaking Russian, that she started screaming that this is Ukraine and not Russia, and what the hell do I think I’m doing. Keeping that in mind, in Crimea I ordered a glass of juice in Ukrainian. I repeated it few times, till I realized that the waiter does not speak Ukrainian at all and it was time to go back and use Russian again. Coming back to Ukraine after the revolution didn’t make it easier for me. I was wondering how on earth I am supposed to communicate now. To whom should I speak Russian and to whom Ukrainian so I don’t offend any of them. We decided that the one to speak will be Dario and he will speak English. It worked pretty well. 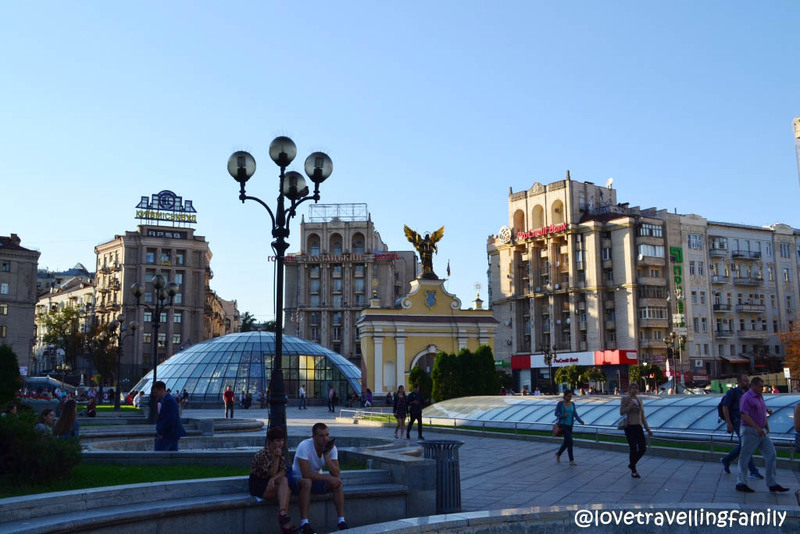 Kiev is a huge metropolis, so we didn’t have many difficulties to find someone who speaks English or German even. Of course I do realize that there are as well Ukrainian nationalists who think similar to “real Poles.” However, during our stay in Kiev we talked to many people, we asked about the revolution and even managed to meet with one of the revolutionist involved in Maidan fights. 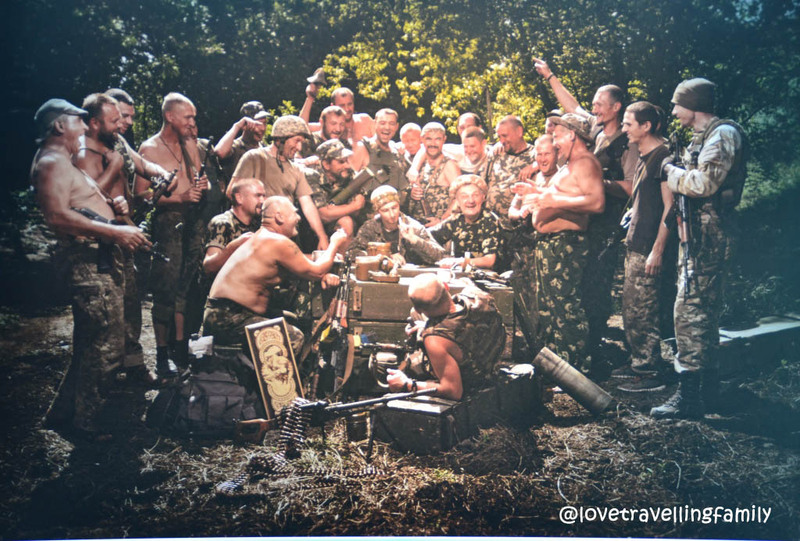 Still no one from the people we met had problems with communicating in Russian, and those were the ones fighting for Ukraine’s independence from Russia. When a revolution is happening in a city and then the city recovers, you never know on which side the people you meet are. Who was taking the bricks from the pavement to throw them at the police and who was sitting at home praying Russians will win the country. 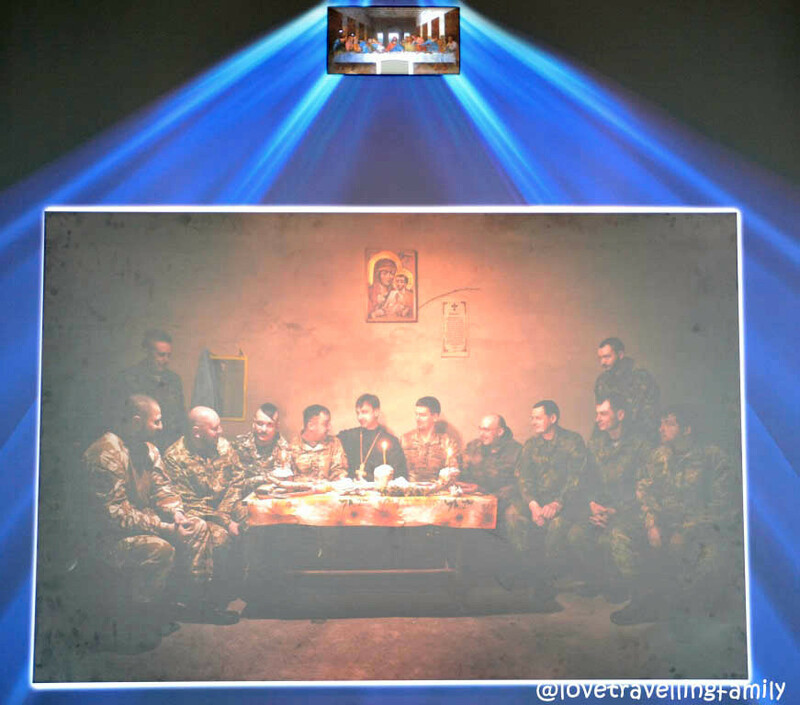 We were wandering through Kiev and trying to understand: who after the revolution became a hero and who a villain. 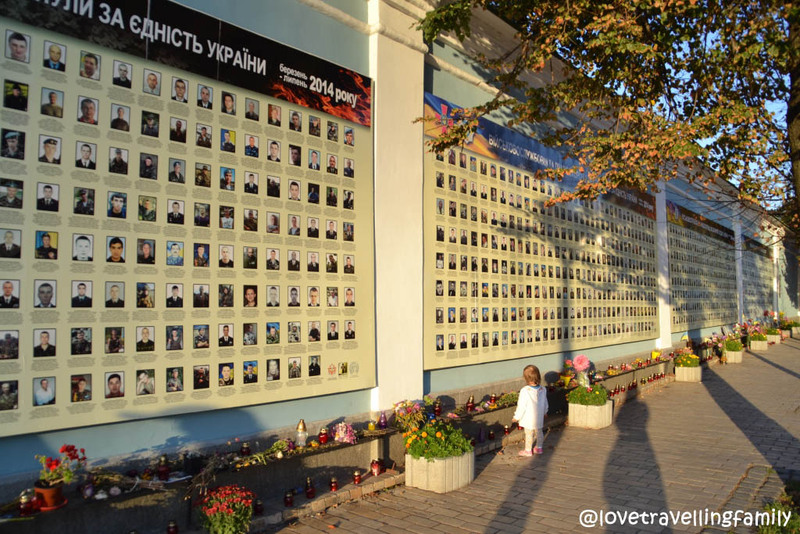 At St. Michael’s Golden-Domed Monastery we passed a wall with pictures of those who gave their life fighting for free Ukraine. 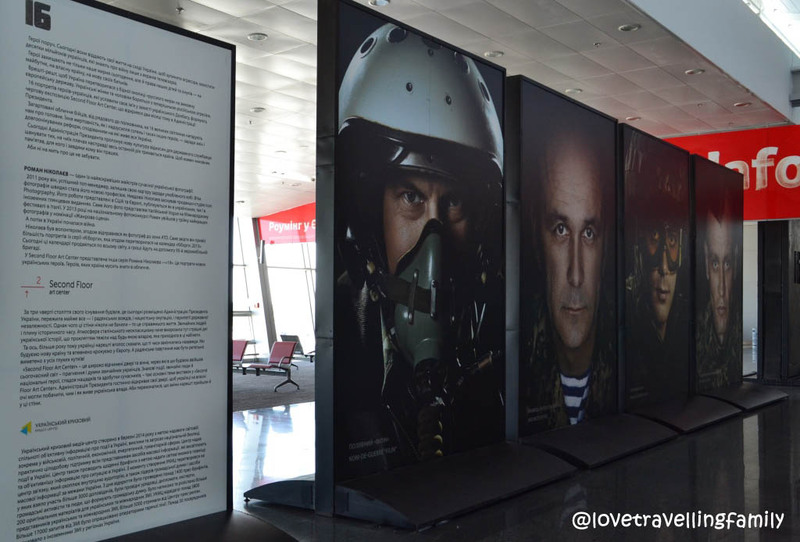 At the airport we saw an exhibition of pictures of soldiers. 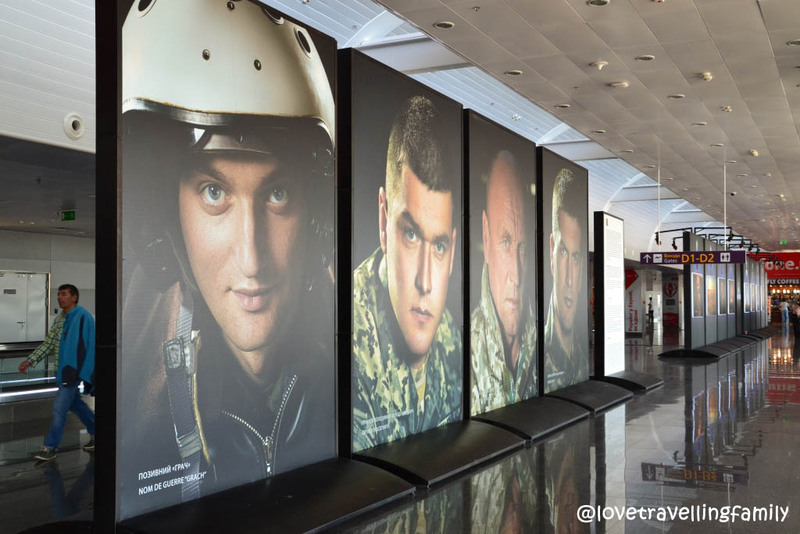 We know that as the conflict is still going on, the same people are heroes for some Ukrainians, while being villains for the others. We decide to respect all who died believing in their dream and hoping to make their country a better place. The majority of churches you are going to see in Kiev and Ukraine are Christian Orthodox churches. However, it is not that simple as it seems. The same as with politics, Orthodox religion in Ukraine is divided. Some of Orthodox Christians wanted to stay under the supervision of the Patriarch of Russian Orthodox church, the others – to become independent from Russia and gain autonomy. This lead to the appearance of three Orthodox churches in Ukraine: Ukrainian Orthodox Church (Kyiv Patriarchate), Ukrainian Orthodox Church (Moscow Patriarchate), and the Ukrainian Autocephalous Orthodox Church. During our stay in Kiev, we visited few churches. Although being Orthodox ourselves, it was difficult for us to tell which church is which. The interior, church services, even melodies of songs sung by choirs were the same. 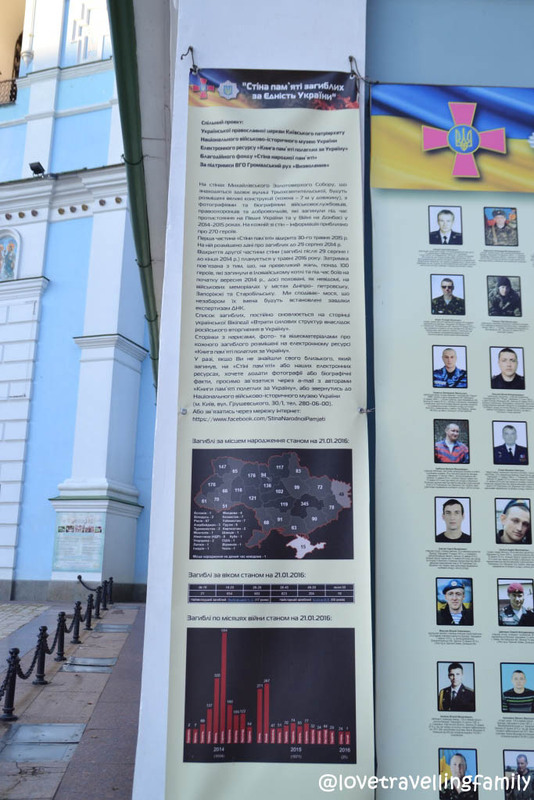 So it was only a board hanging outside a church that informed us which Orthodox church it is. 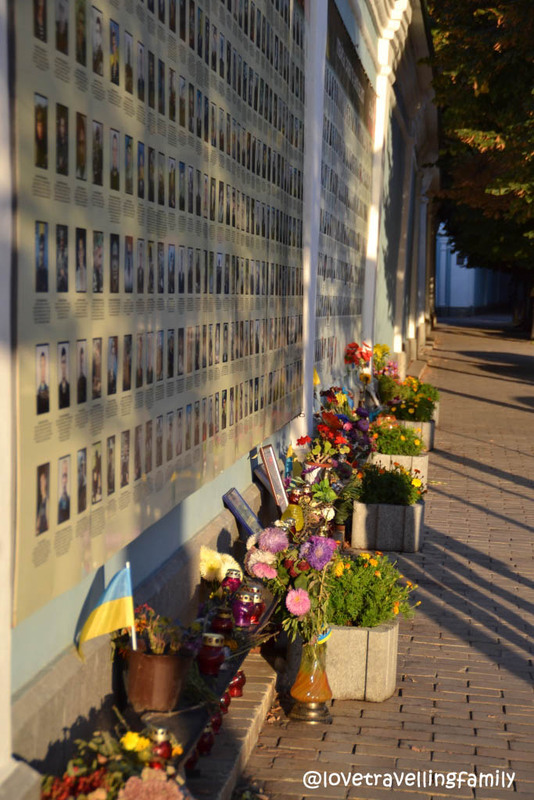 It seems that politics managed to tear apart the unity of religion in Ukraine as well. Which church is better? Which church is more close to the truth? We prayed in all and I truly believe that from all God heard our prayer. 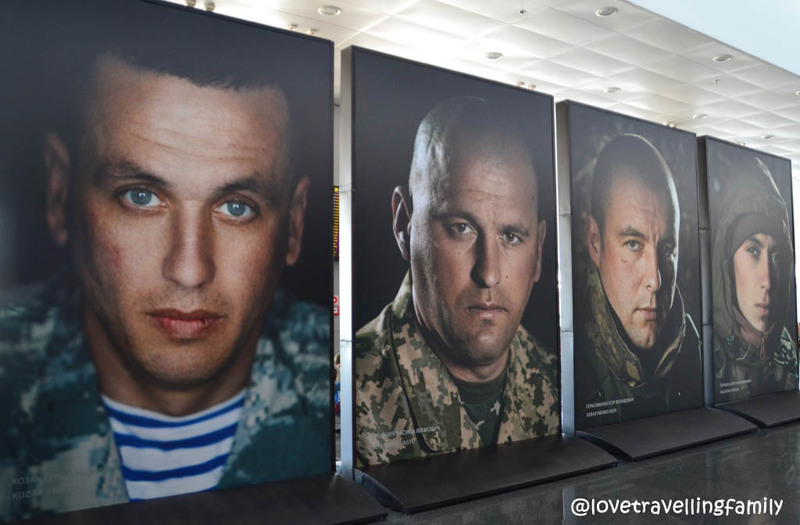 While writing the epilog I’m listening to soldiers’ songs from Novorussyia and Donbas. Many people got killed; everything got so complicated, but at the end everyone seems to be fighting for the same thing: FREEDOM. I do realize that there will be many voices screaming that I am becoming a political and religious heretic who doesn’t acknowledge the priorities correctly. But the truth is: Ukraine is too beautiful to be destroyed through the clash of ideologies and powers. I wish for Ukraine to be left alone, because it can stand still on its own. It has beautiful traditions, landscapes, and people. It has an amazing history and a huge potential. Ukraine, we wish you peace and all the best! See you soon again.